Home Entrepreneur Marketing What is the Best Keyword Tool for SEO and PPC? What is the Best Keyword Tool for SEO and PPC? There are some handy keyword tools out there in internet-land that will provide juicy keyword insights to help you make strategic organic and paid marketing decisions. In this article, we’ll rundown the best keyword tools for SEO and PPC out there. This knowledge will help you make informed decisions about your content (what subjects to publish on and what keywords to use) for the best SEO results. It will also ensure that you are bidding on profitable short- and long-tail words in your PPC efforts. Never fear! You do not need to do this all alone. There are some handy keyword tools out there in internet-land that will provide juicy keywords and help you make strategic decisions that will drive organic and paid traffic to your web pages. In this article, we will give you the rundown of the best keyword tools out there. What Features Make a Good Keyword Research Tool? Traditional keyword research: The old-fashioned way to conduct keyword research is to type in a ‘seed’ keyword to the tool and then it will return a range of keywords. Campaign managers then sift through the data to identify themes and opportunities within each. Competitor-based keyword research: Using keyword research tools, this methodology reverse engineers the research process by assessing keywords which your competitors are ranking for and evaluating if you could do better. This is not the same as the “competition” metric often displayed alongside keyword data. However, many keyword tools offer both – traditional and competitor keyword research insights. And from the marketer’s POV there is definitely no harm in more insights and data! That said, there are a few basic components marketers should look for when trying to find a keyword research tool. At its most basic, the most important thing a keyword research tool should do is suggest as many relevant words as possible. What are search volume trends? I’m glad you asked. This refers to the average number of times a keyword was searched by users. In other words, how many times was that word or expression Googled? It is usually expressed as the number of searches conducted per month. Search Competition is how many pages on the internet include that term. This metric helps you assess how high the competition is for that keyword, and what you are up against if you are trying to rank for it. The higher the value, the harder it is to compete with other web pages using that keyword. This metric is also known as “keyword difficulty” and not without reason. It helps marketers determine which target keywords are realistic to go after and which keywords would be too difficult. This helps them make decisions about which keywords to throw time, effort and resources behind. In SEO, the ideal combination is a keyword or term with high search volume and low search competition…but these are rare gems. There is quite a spectrum when it comes to the tools that are available to digital marketers researching keywords. The first consideration, however, is usually pricing. Some of these tools are free while others are paid for, and some offer both free versions and paid upgrades. Google Keyword Planner is a free tool; however, you must have an AdWords account to use it. The other main limitation of it is that it only provides data about search queries that happen in Google…but then again that is the most powerful search engine in today’s digital landscape. Generally speaking, this tool is pretty well liked, known and used amongst digital marketers and SEOs. Formerly known as the Google Keyword Tool, Google has combined the strengths and functionalities of that earlier tool and AdWords Traffic Estimator. It offers both new keyword ideas and data for those keywords such as how many clicks and impressions you could get from those words. From this perspective it’s perfect for both SEO and PPC. Google Keyword Planner will also estimate what it will cost to bid on a particular keyword, should you want your ad to appear at the top of the first page of the Google search results when someone types a query that matches your word. This makes it helpful to plan your SEM (search engine marketing) budget. What is this tool good for? Generating more keyword ideas based on your initial list. What are the cons of Google Keyword Planner? Without an active Google ads account it only provides a range of keyword search volume. SEMrush Keyword Magic Tool is the tool of choice for keyword research and insights for many marketers. It offers competitive data to help you snoop on your competitors by understanding what keywords they are using to climb up the page on Google SERPs. This will help you create better content and take some of your competitors’ traffic. Backlinks (sites that are linking to a webpage) are an important element of a sound SEO strategy, without them, you will have difficulty performing well in the SERPs. SEMrush can help you improve your backlinking game plan. Plus, it’s great for generating millions of keyword ideas that can be filtered and saved within the tool. With the free version, you can make 10 queries per day which is definitely adequate for a smaller operation, or when you are just starting out. As your business grows and your SEO needs expand, you will probably want to upgrade to access more searches. What is this tool good for? Huge range of keywords and save more historical keyword data. What are the cons of SEMrush? Pricing is a bit high for some. Ahrefs is also a favorite of SEO experts. It performs both basic and complex tasks including in-depth keyword analysis, keyword tracking, backlink analysis and site audits to help you improve a website’s organic rankings. It has all the features you need for doing traditional keyword research. SEO folks like its easy-to-navigate UI and snapshot view from the dashboard. It currently boasts that it offers the world’s largest backlink index too, totaling 15 trillion. What is this tool good for? Ahrefs has a great blog and an active community on social channels/ private groups that are helpful for knowledge sharing. Whether you use this tool or not you should check out this community. What are the cons of Ahrefs? Pricing. Ahrefs give nothing away free and some find their pricing structure high. Keywordtool.io is powered by Google Autocomplete. It will suggest keywords that users are typing into the search box. Just type in your seed word or term, and the Keyword Tool would suggest relevant long-tail keywords. This tool is unique because it offers keyword insights to more than just search engines like Google. Keywordtool.io allows marketers to do keyword research in Amazon, eBay, YouTube and more. The free version gives you hundreds of suggestions for your keywords, up to 750 ideas from each term, in fact. The advanced (paid version) offers twice that number of suggested terms. You can perform keyword searches in as many as 83 languages, which is great if you are researching in international regions. What is it good for? Suggesting long-tail variants of keywords. What are the cons of The Keyword Tool? The free tool only gives you keyword suggestions and no other data analysis or functionality. 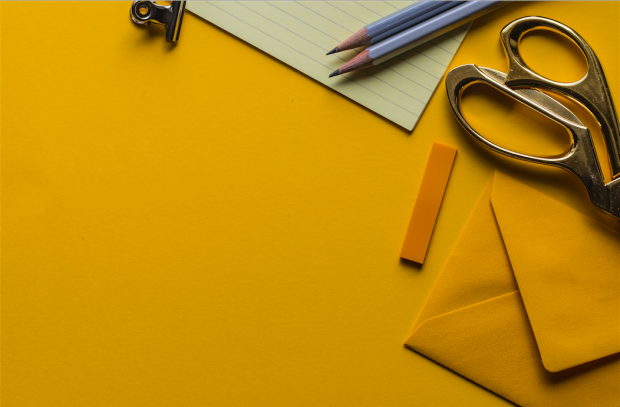 In the current landscape, SEO experts really consider the Moz blog a fantastic resource for learning SEO or sharpening up your skills. Aside from that, it’s a great resource with all the features you need to grow your online business and website traffic including keyword research (the free option gives you many more keyword suggestions than SEMrush), search volume, difficulty and other metrics. Moz Keyword Explorer comes free with the Moz Pro edition. Alternately, you can access it for free, but you will be limited to two search queries per day. This is very restrictive and probably not enough to do thorough keyword investigations. The free tool is great but when you need to upgrade, their pricing is one of the more reasonable options. It also offers a 30-day free trial that will give you the ability to explore the full suite of SEO features. Moreover, they continue to update their features all the time. What is it good for? Suggests hundreds of keywords ideas, along with search volume range and keywords relevancy in the free version. 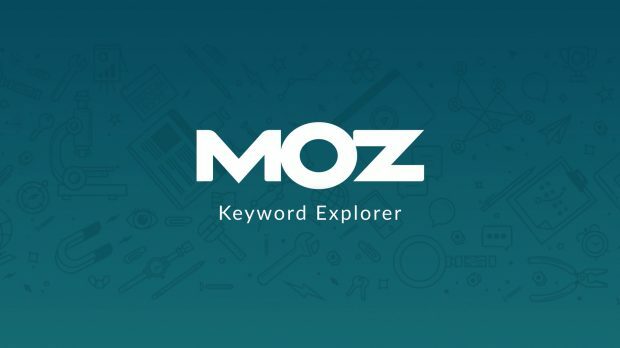 What are the cons of Moz Keyword Explorer? Only two queries for a free user. You have to upgrade to the paid version (Moz Pro) for access to the full functionality. All screenshots by Estelle. Taken August 2018. The post What is the Best Keyword Tool for SEO and PPC? appeared first on Acquisio Blog.